This amazing television show was a big thing for me during my last year in Japan. It's been running for almost ten years, but I actually didn't hear about it until it was in its eleventh season! 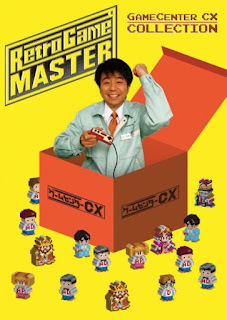 Comedian Arino Shinya, one-half of the famous Osakan team Yoiko, is the host and star of Arino's Challenge, what was once a small segment but quickly grew into a one-hour television show about retro video games. 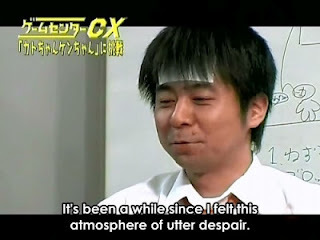 Arino, a fan of games of all types, looks like your typical middle-aged salaryman and while he struggles often to get through even easy games, is incredibly tenacious - this man somehow beat Ninja Gaiden, but took hundreds of lives while playing Super Mario 3. I originally caught wind of this show on YouTube and though I didn't have the channel that it aired on, I rented the DVDs, one by one. It's a very popular show - our nearest Tsutaya had gaps in its library every time I went. (I had to bike 35 minutes away that first time just to get Volume 1!) And when I was sure that I was going to watch regularly, I went ahead and got FujiTV One, FujiTV Two and FujiTV NEXT on my beloved SkyPerfect satellite dish. It's funny to look at it that way now, but leaving behind the brand-new episodes of Game Center CX was a heartbreaker when I left Japan! There are ways to see some of these, of course, thanks to the Internet, but there was something special about sitting down on Thursday nights to see a brand-new episode right when it aired. My friends and I would watch the raw episodes over Skype as a group, with me providing scant real-time translations while Arino provided the laughs. Many times I would come home from work and head straight to Skype to pick out an episode with the others to watch that day. This was three years ago - well before GCCX was known by many English-speakers. Luckily for me, since coming home, the series has gained a little more popularity in the west. The Nintendo DS game didn't make much of a splash when it was localized, unfortunately, but I feel that was the timing - if the show had come out in North America first, maybe it would have been different. Gaming website Kotaku even aired 12 episodes on their website in 2011 under the title of “Retro Game Master,” though for me these were a massive disappointment - the episodes had everything except the main game challenge taken out, and the dubbing was terrible. The translations were dubious at best and many details left out. However...what Kotaku did do was bring a lot of attention to the show, and that's why we're now getting those episodes, overhauled, on DVD by Discotek Media and translated with subtitles by a fan with genuine passion for the series! Sadly, the show still can't be released intact - it doesn't contain many segments due to licensing issues, though the Japanese DVD releases omitted these as well. 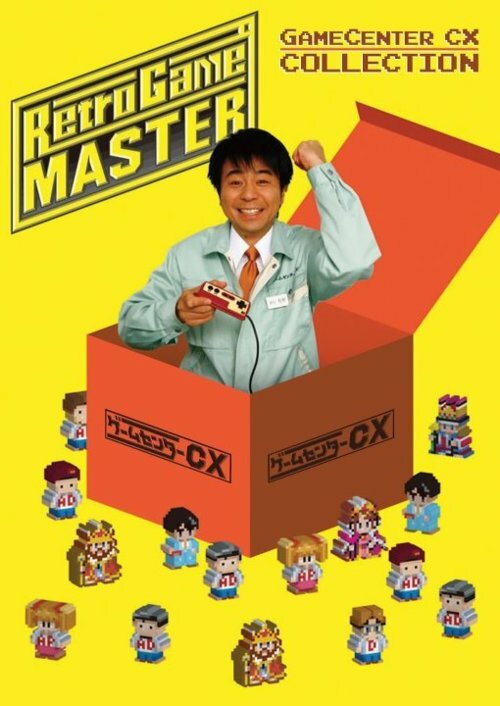 Still, even if it can't be perfect, I am so ready to support this release, just to bring more Game Center CX fans to the world and encourage more DVDs down the line. GCCX will always be a nostalgic reminder of my hobbies in Japan! So get out there and buy it! If you're a fan of video games at all, you don't want to live even another week without seeing this show!